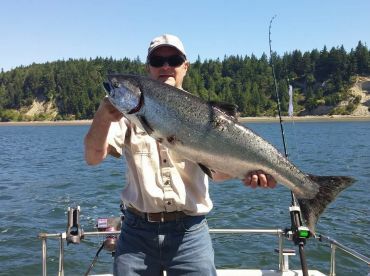 Anglers spend their time in Puget Sound bottom fishing for some of the finest delicacies in the Pacific Northwest. 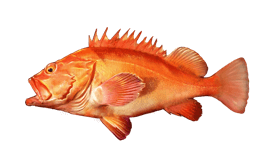 Measuring close to 930 feet deep, the protected waters of the sound are abundant with Flounder, Lingcod, Cabezon, and more. 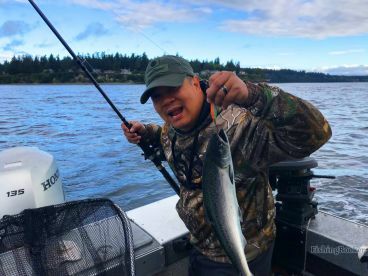 Anglers fish the sound all year, usually seeing what they can pull up from the bottom in between Salmon seasons. 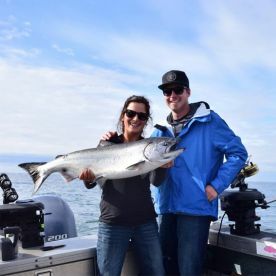 Of course, there’s plenty of reasons to keep bottom fishing no matter the time of year: The fish taste fantastic and catching them can be a blast for the whole family! 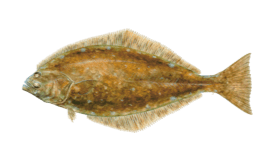 The most common catch in these waters is Flounder, a relative of Halibut also known locally as “Sand Dabs.” This flatfish lives on the seafloor in water 40-120 feet deep and anglers hook into as many as 50-100 of them in a single trip. Fishing for Flounder is a great way to introduce children to the sport, since this fish is small and easy to catch. 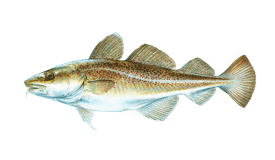 The season for Lingcod runs from May to mid-June. While this may not be the prettiest fish you reel in from the bottom of the sound, it is one of the tastiest. Lings can grow to over 40 lbs, but anglers are only allowed to keep smaller fish (8-17 lbs). You can add Dungeness Crab to your cooler as a little something extra if you’re fishing between July and early September (usually until Labor Day). In some years, the season re-opens in October and November. 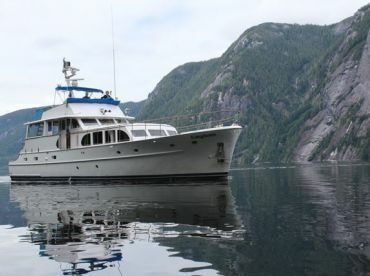 While bottom fishing in Puget Sound, you’re likely to spend a lot of time drift fishing. 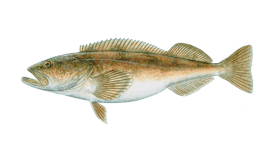 This simple but effective technique produces Lingcod, Flounder, and other fish along the seafloor. Common baits include Spots, Croakers, Mullet, Pinfish, and Shrimp. You can even bounce jig heads along the bottom to entice a bite, but this is not nearly as effective as fishing with bait. Size and bag limits apply to many species and you may not always be able to keep your catch. Be sure to ask your captain about local regulation ahead of time, or check for updates online before your trip.